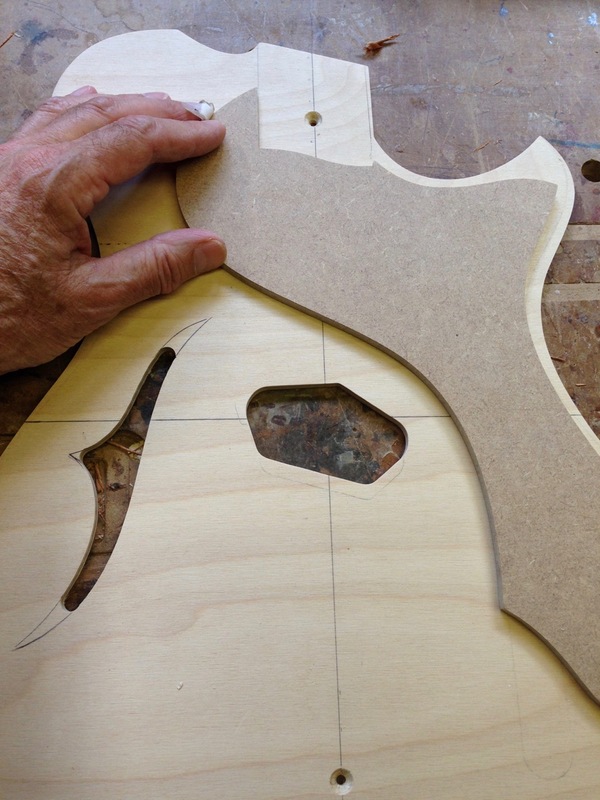 Andy Powell from the band ‘Wishbone Ash’ has commissioned a new Tele® inspired guitar. 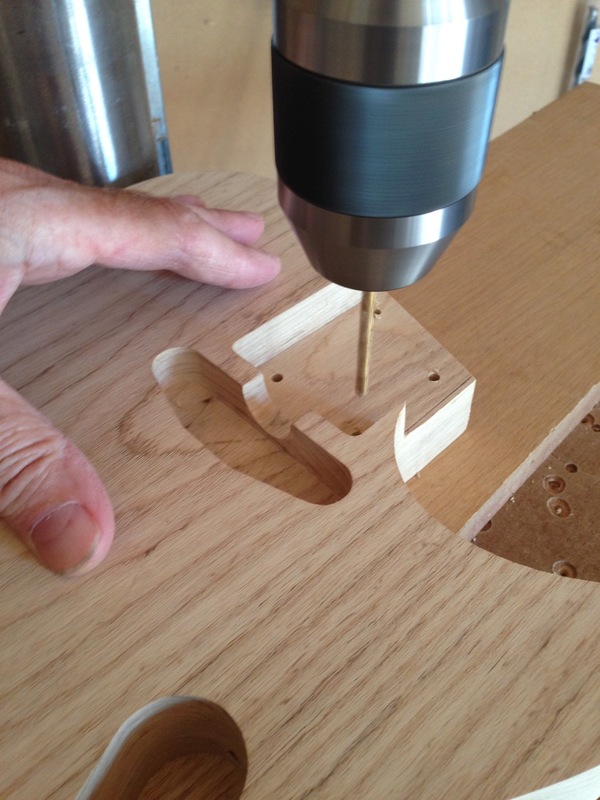 Andy wanted a guitar to sound like his cherished '52 Tele® but with the appearance of a semi-hollow thinline. 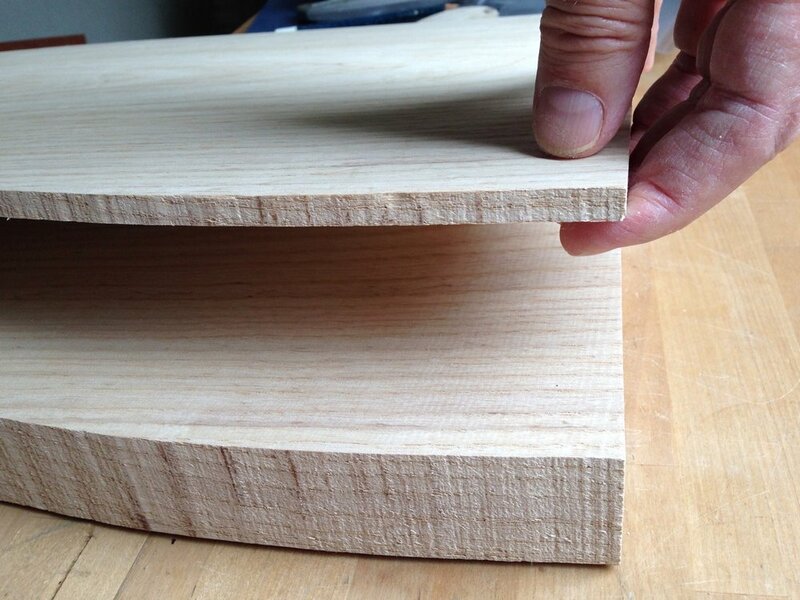 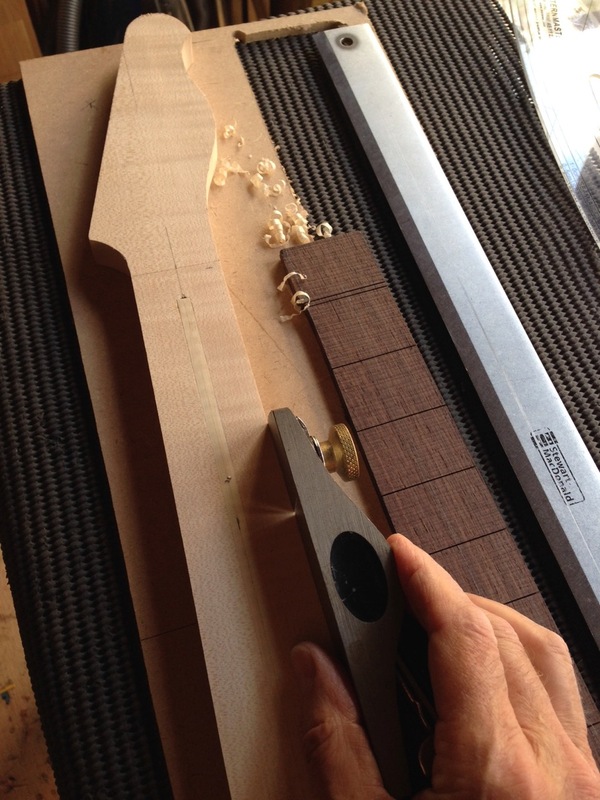 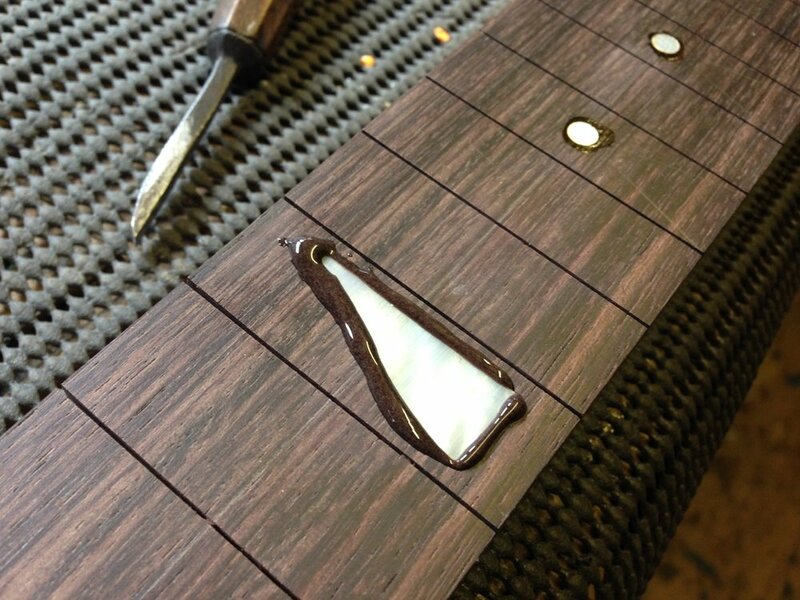 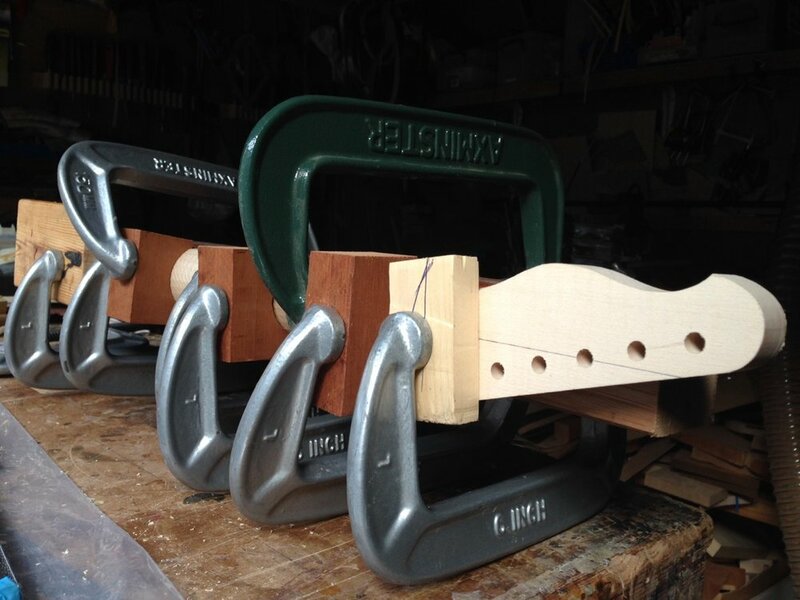 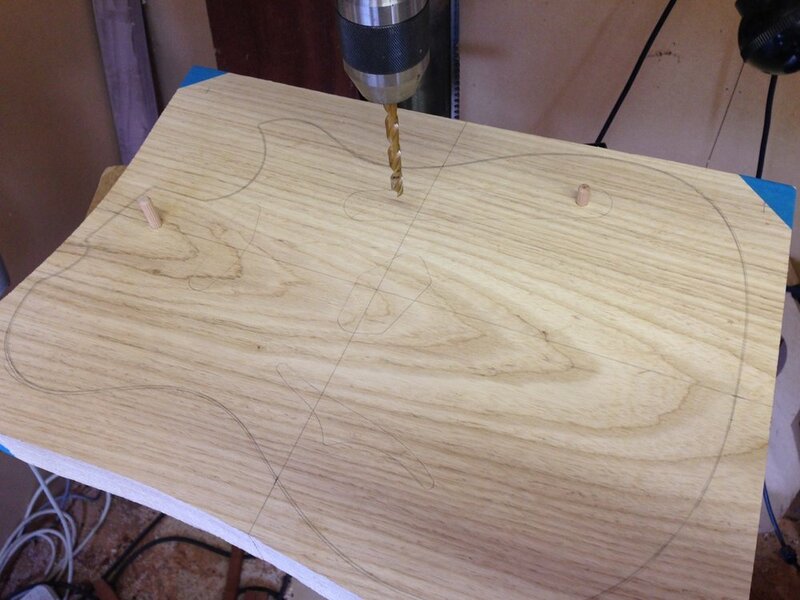 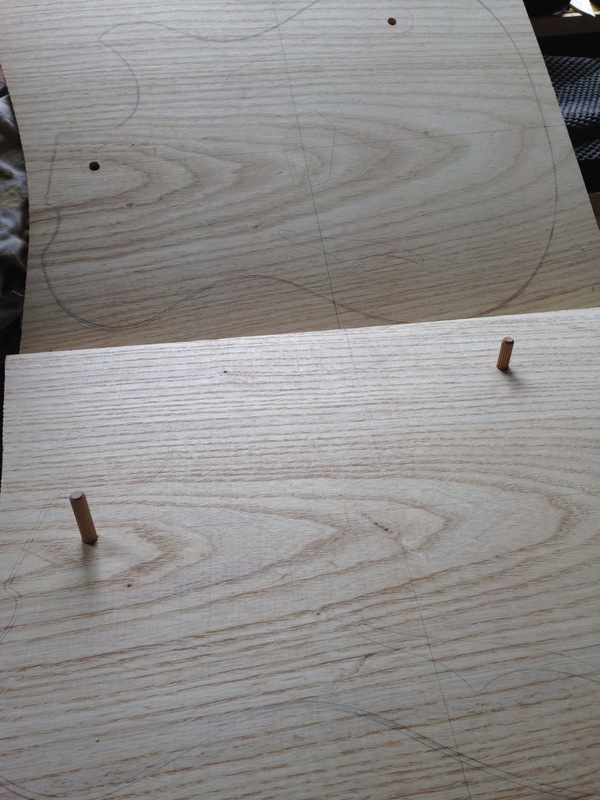 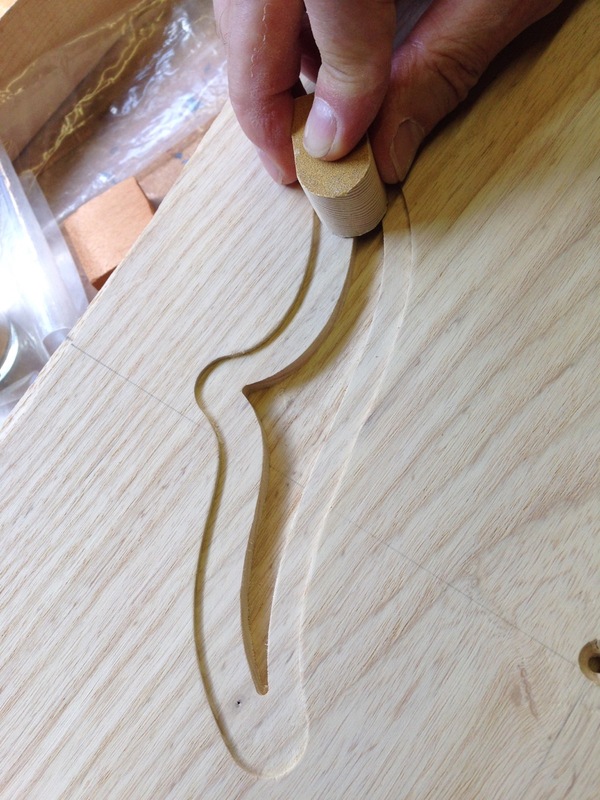 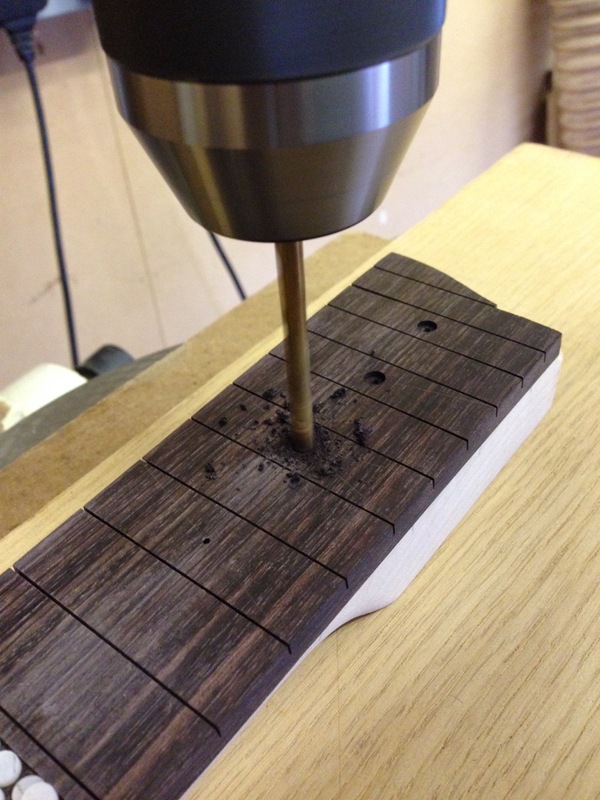 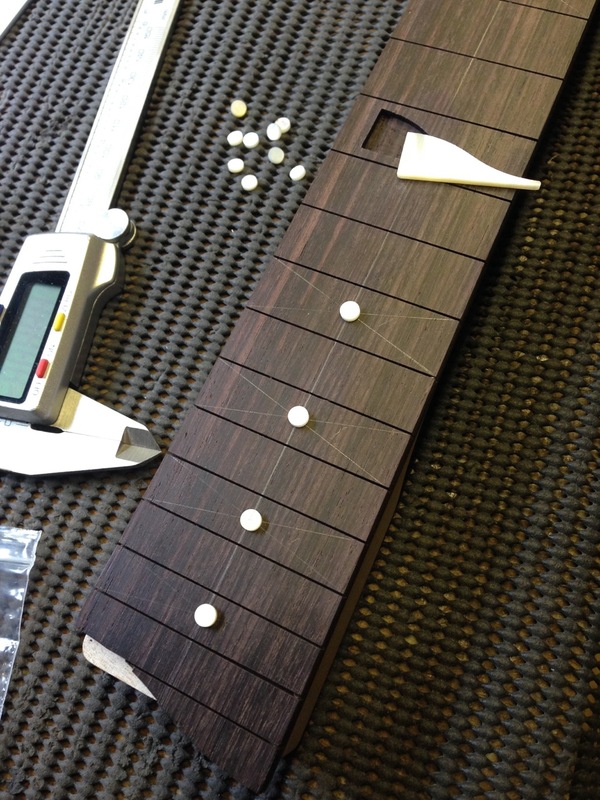 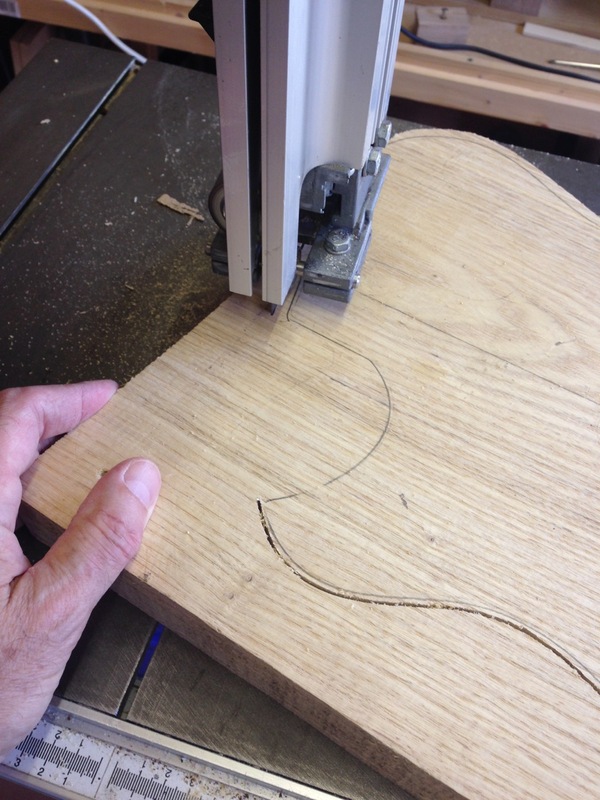 Using quality swamp ash and maple, with traditional construction methods, To achieve the sound Andy was after, I had to keep the body as solid as possible and would have to select a light piece of swamp ash. 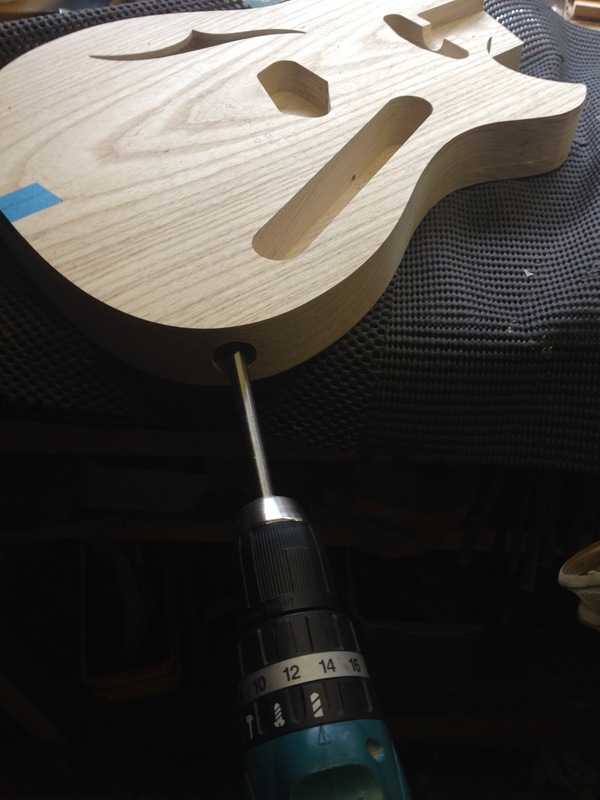 Also, the cavity beneath the f hole would have to be kept to a minimum. 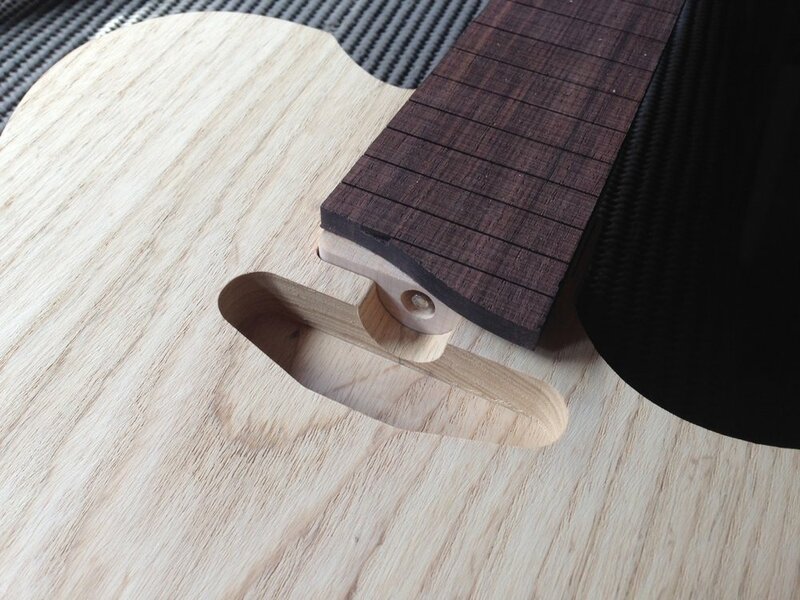 After preparing visuals for Andy to consider, tweaks were made and the final design was approved. 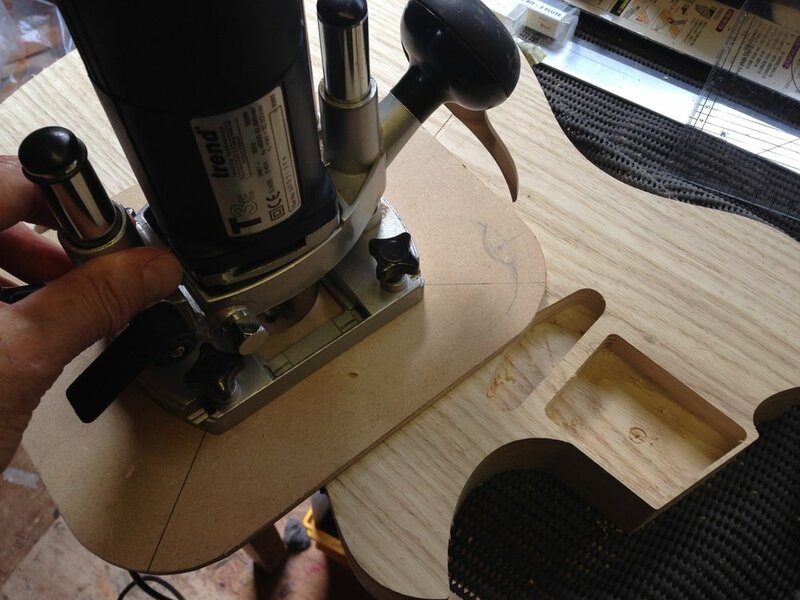 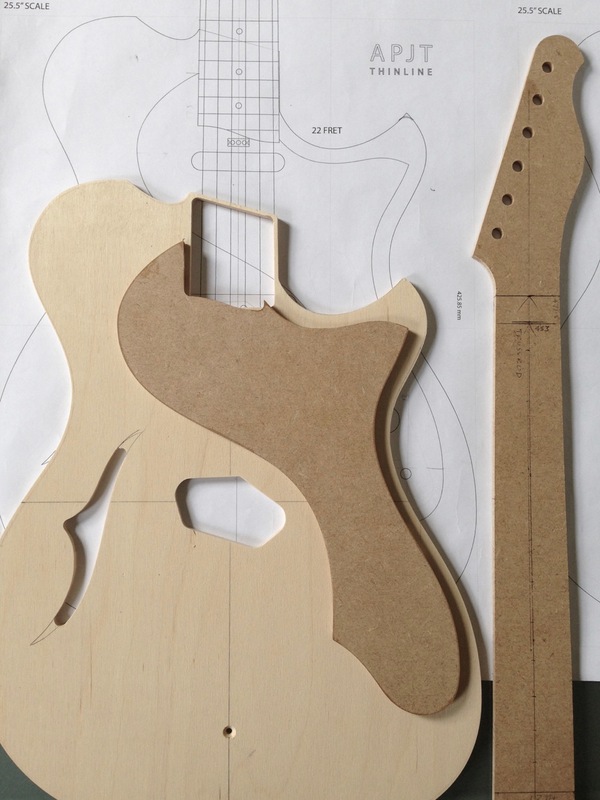 With the full size plans drawn and routing templates cut, the build is now proceeding. 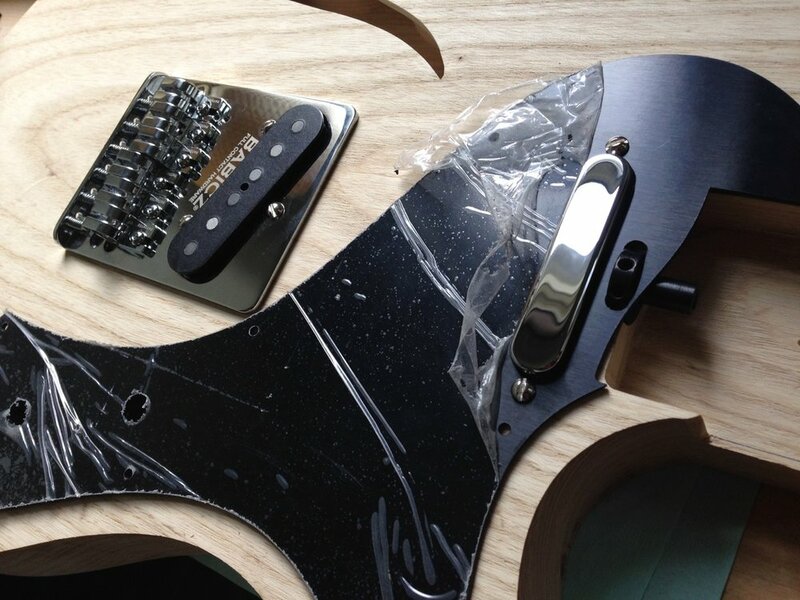 The totally new model will be named the APJT Thinline and will feature a Babicz Full Contact Hardware Tele® bridge and Bare Knuckle single coil pickups from their Blackguard Tele® series range with a Flat '50 in the bridge and Flat '52 in the neck position.